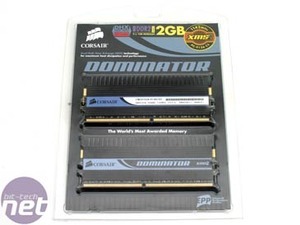 Ten thousand megabytes per second -- the five digit memory bandwidth barrier was passed by Corsair almost ten months ago now, and the company's PC-10000 modules are still the cutting edge of what you can buy today. 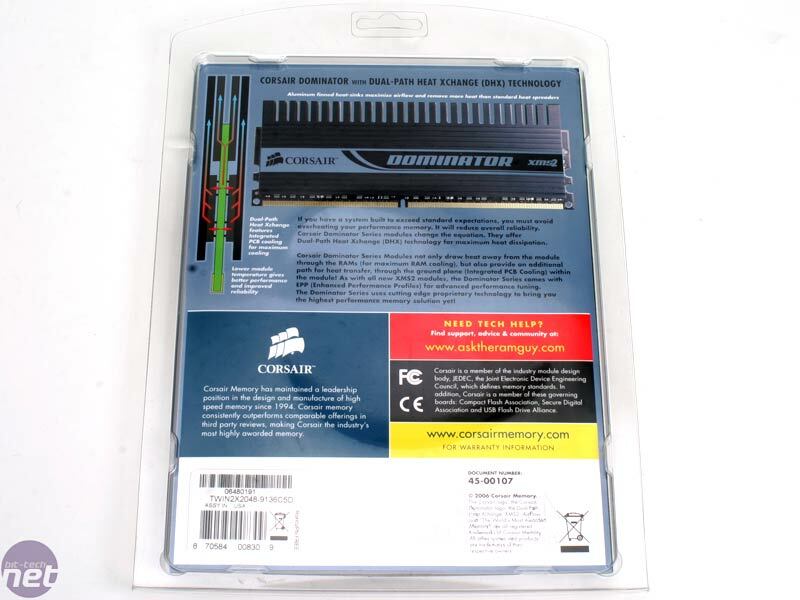 At this year's CeBIT trade show, we saw a non-working tech demo of OCZ's PC2-11000 (1400MHz) modules, but they are rated at fairly modest timings of 5-6-6 and, of course, we’re yet to see a working demonstration -- is there a motherboard out there that can handle these kinds of memory frequencies? We're not sure, but lets get back to the topic at hand. 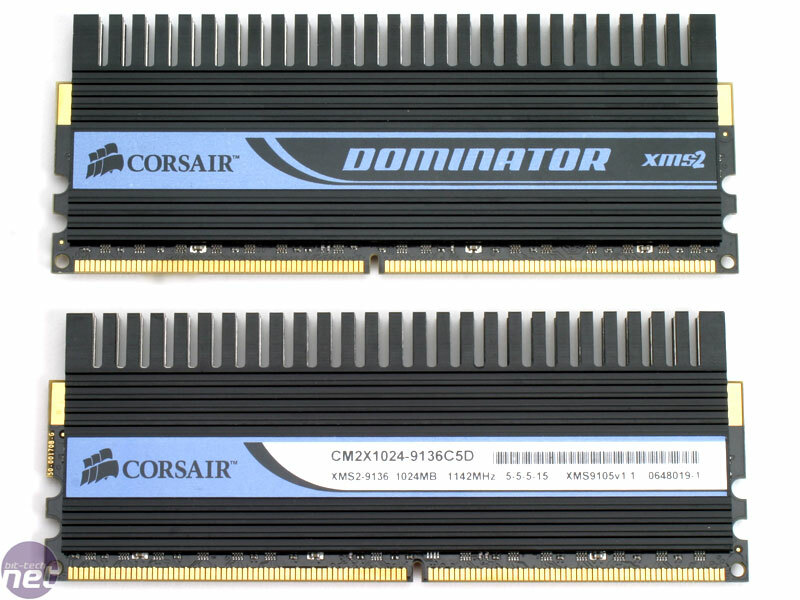 In February, we covered DDR2 memory timings when we looked at three mid-priced DDR2-800 kits from Kingston and OCZ, and last year, we also had a look at the effects of memory timings with Intel's then recently-released Core 2 Duo processors. 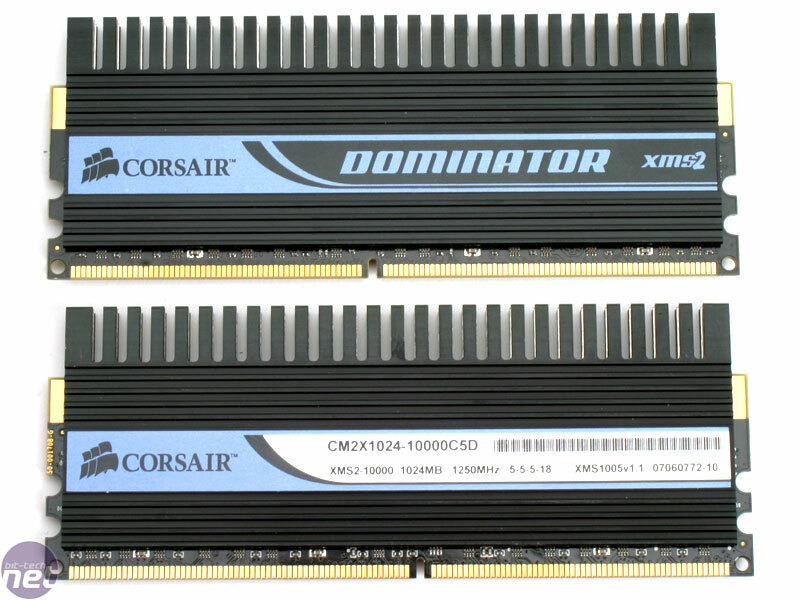 Our first Corsair Dominator review gave an insight into how Corsair's DHX cooling technology works and these latest Dominator modules are no different in that respect, as they use exactly the same black anodised aluminium heatsinks. 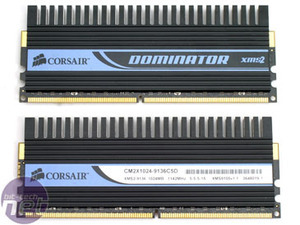 Corsair is planning to add another line of modules to its product portfolio soon, these will use DHX cooling technology but will not be as expensive as the Dominators -- we'll be having a look at them when Corsair announces availability. 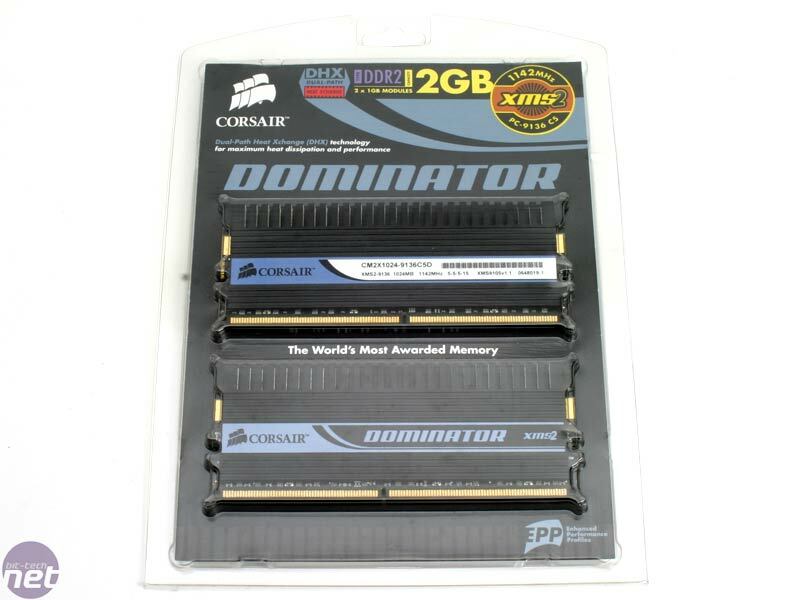 Ultra performance memory may offer you unparalleled memory bandwidth but it obviously comes at the liberty of some other factors. 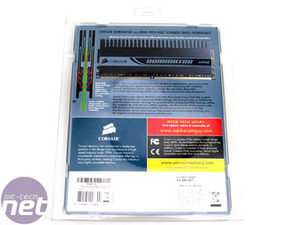 For starters you need a motherboard capable of utilising the 1142MHz and 1250MHz these memories are capable of, for that you’re going to be pushing motherboards like the DFI LANParty UT ICFX3200-T2R/G (AMD RD600), Asus Commando (Intel P965) and Inno3D nForce 680i SLI (nForce 680i SLI) to their absolute limits. Not only that, you’re going to have appreciably deep pockets in order to fund this excursion into the overclocking heavens. 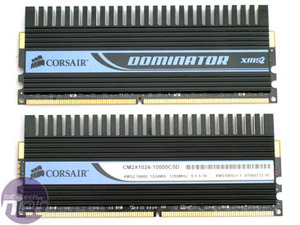 Come up with a cool heatsink fin design for Corsair’s new DHX+ memory cooler and you could pocket 6GB of Dominator DDR3 memory in this worldwide competition! Are you looking for a power supply and you're on a budget? Corsair's VX550W might be just what you're looking for. We check to see if the quality of Corsair's range continues down to the low end... or are corners cut along the way? Read on to find out.